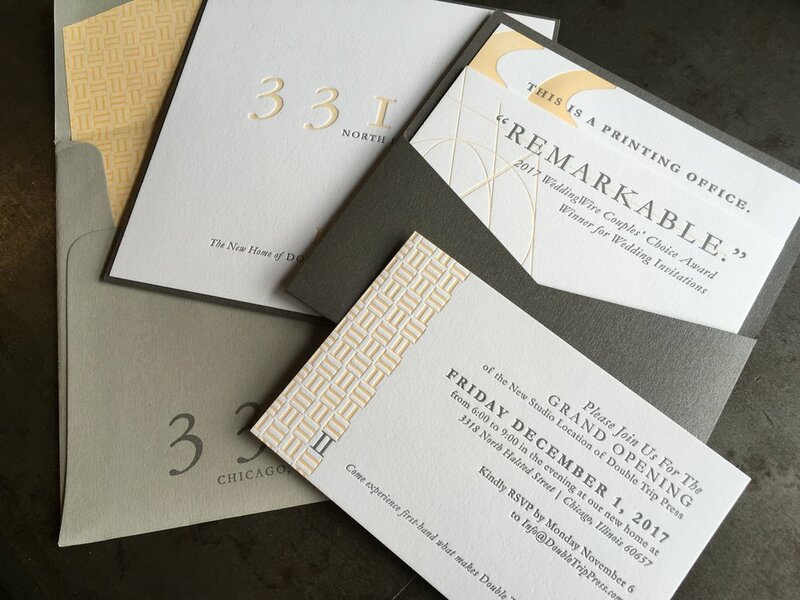 Our concierge approach to custom design and letterpress printing extends beyond wedding stationery to a variety of life events, celebrations, announcements, and professional achievements. Because every special occasion deserves gorgeous stationery. Allow us to make something special to celebrate your little bundle of joy. Spread your holiday cheer with unique cards and custom paperie. Minimum Quantity for any package is 50 suites. After the initial 50 suites, increments go up by quantities of 25 suites, up to 300 total suites. See note below under “Quantities” for more information regarding ordering quantities above 300 suites.